On the first Thursday of the month, Senior Adults gather in the Pine Street Senior Center to play cards and fellowship. On the second Thursday of the month, Senior Adults gather in the Activities Building for food, devotion, and Bingo. 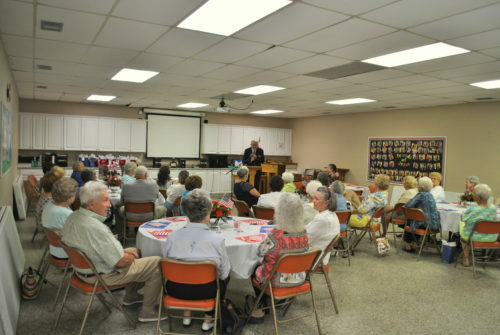 Once a quarter, our senior adults gather for a covered dish lunch and an educational program.